Donald Trump just signed an executive order undoing the Obama Administration’s Clean Power Plan. 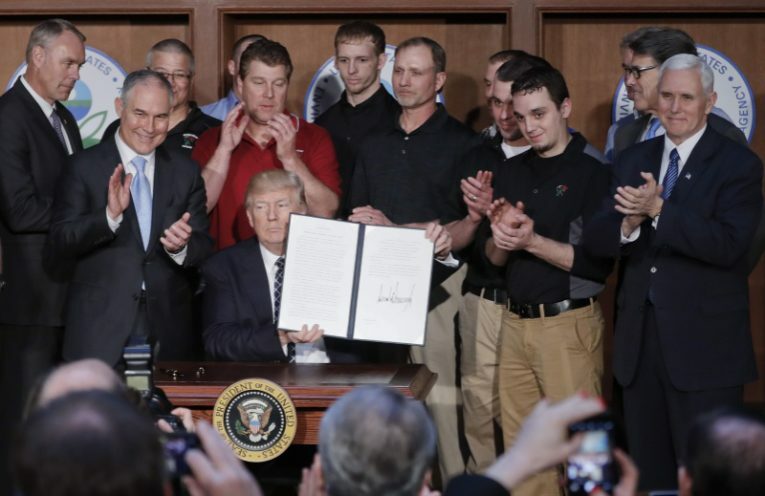 On today’s show, Mary Anne Hitt, Director of Sierra Club’s Beyond Coal campaign will join us to discuss whether Trump really can keep his promise of jobs to coal miners and undo the steady progress on climate change. And, we’ll turn to Ernesto Falcon of the Electronic Frontier Foundation about what the Republican Senate and House votes on stripping Internet privacy regulations means. Finally, Ruy Teixeira will join us to discuss his new book, The Optimistic Leftist: Why The 21st Century Will Be Better Than You Think.